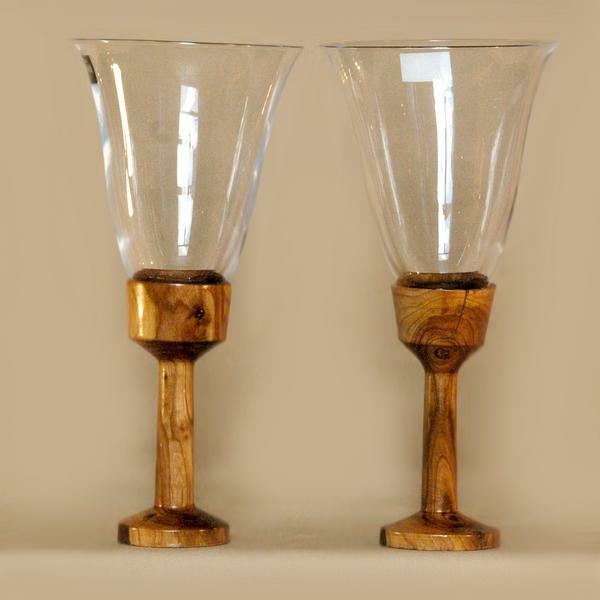 Elegant handmade wineglasses. Stems of natural apple wood. The bowl of Bohemian glass holds 0.33 litres. Great design for a celebration. A great gift for a couple&apos;s wooden wedding.